Item number 2881/1 from the MOA: University of British Columbia. 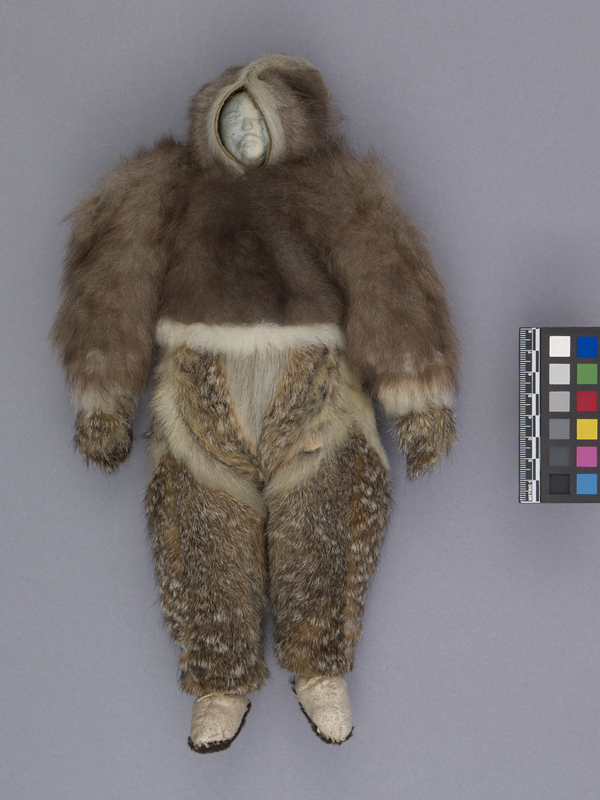 Doll wearing thick fur clothing. The face of the doll is made of light coloured stone, with carved eyes, nose, mouth and ears. It is enveloped by a large brown fur hood attached to a jacket that ends at the waist and has a long, narrow flap in the back that falls nearly to the knees. 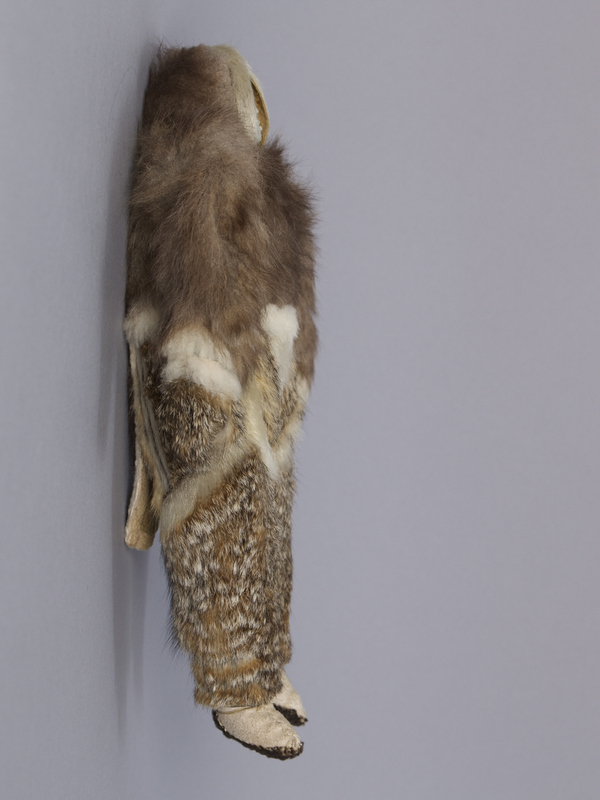 The coat is edged at wrists, face and bottom with white fur. The pants are made with a white and brown fur, cut decoratively at the top on both front and back and inlaid with a lighter coloured fur. 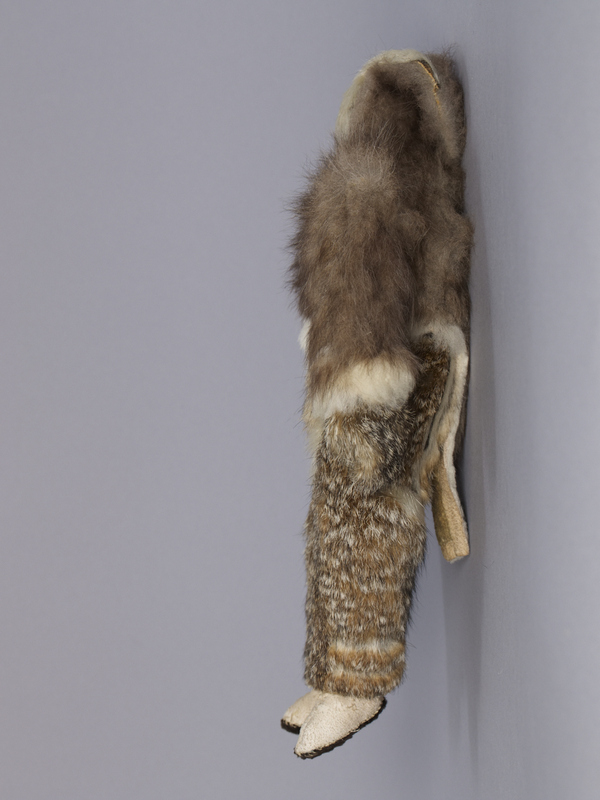 Leggings of the same darker fur cover the leg from thigh to ankle and are attached by fur suspenders to the waist. Matching mitts cover the hands. Off-white hide boots tie at the ankle and have dark brown, furry soles. 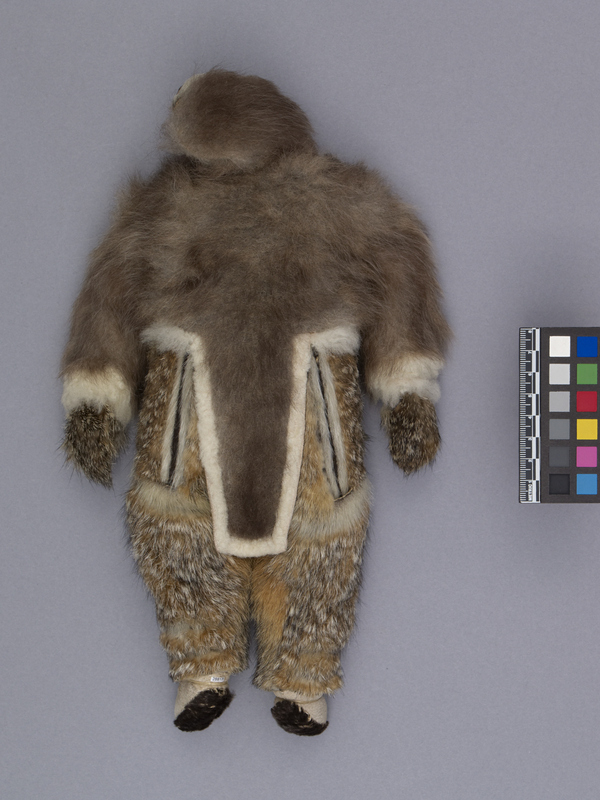 The doll underneath the fur appears to be covered with a canvas cloth at the back and brightly coloured fabric at wrists. Thought to have been collected in the Coppermine--Cambridge Bay area, around 1975-1977.